In 1988 I told my mom that I would take a 6-month round-the-world trip, then return to Canada to finally settle down into ‘normal’. Well it is now 26 years later, and Costa Rica is country #37 that I have either lived in or visited. After 2 years working in San Jose, I went for a short holiday to the Southern Pacific Zone, and immediately knew that I had found my new home. And I have lived here for over 15 years. I love what I do and I cherish where I live. There is a unique quality of life here that has been slowly disappearing elsewhere. 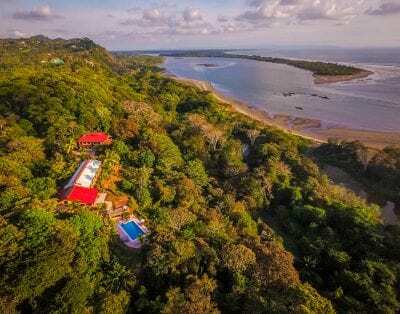 The sheer lushness of the surrounding jungle, the untamed beaches, and the warm welcome of the local people create what is called the Pura Vida life. I have been in the tourism industry for most of the time I have lived here – starting as a tour guide for a local company, then opening the first tourist information center in this region, and then creating the first yearly guide book for tourists and locals. I have years of experience working with our local tour companies, car rental companies, and personally know the chefs, drivers, massage therapists, and local guides we use in our Packages. I have an endless supply of stories about ‘the good old days’ here, as well as fascinating little-known history of the region. After all these years in tourism and connection with the community, if I don’t know the answer, I know how to find it for you.